When it comes to global issues such as climate change, do you feel overwhelmed and wonder whether one person can really have an impact? What if each and every one of us does one thing to reduce greenhouse gas emissions? Collectively, we will make a difference. And, maybe that one small thing you do will inspire someone else to take action to help the environment. The first nine tips were published on Jan. 9. Below are the last nine tips. Register for a Home Flood Protection Assessment if you live in a single-detached, semi-detached or townhome. A trained assessor will come to your home for 60 to 90 minutes and complete a 50-point visual assessment of places where water could potentially enter your home. As of Jan. 1, 2018, 100 FREE Home Flood Protection Assessments are being offered to Burlington residents on a first come, first served basis. All subsequent registrations will be available for a subsidized fee of $125. Disconnect your downspouts if they are directly connected to the sanitary sewer system in the ground. Disconnecting downspouts from draining directly into the sanitary sewer will help reduce the risk of sewer backup and basement flooding. Halton Region will cover 100 per cent of the eligible costs up to $500 through the Downspout Disconnection Subsidy. Replace water hogs in your home … toilets, showerheads, etc. Halton Region has a Residential Toilet Rebate Program to install a WaterSense certified toilet in your home (one per household). You can also install aerators on your faucets, and when it’s time to replace your showerheads and washing machine, look for water efficient models. Switch to a variable speed pool pump. You may be eligible for an instant rebate of $400 and ongoing electricity savings when upgrading your constant speed pool pump to a variable speed pump. The estimated pay back is three years. And, don’t forget to properly drain your pool water at the end of the season. Chemicals in your pool such as chlorine, bromine and salt are bad for the natural environment. Create a water efficient garden. Assess your existing landscape. Are there changes you can make so it’s more water efficient? Select native and drought tolerant species. In other words, choose plants that grow here naturally and don’t need a lot of water to thrive. You can still pick species with vibrant colours and beautiful landscapes that need less water but still deliver a beautiful garden. Use a rain barrel. Water collected in a rain barrel is an excellent, free source of water for your lawn and garden, and can save you money by reducing how much treated water you use from the municipal water system. Stay tuned for annual rain barrel sales events in spring 2018 throughout Halton Region. Plant a tree at home or as part of a community initiative. Planting native, non-invasive trees in the right location around your home can help shade your home in the summer months reducing your home’s energy needs and costs. If you don’t have the space to plant trees on your property, consider helping out at a tree planting event around the city. Stay tuned for a city planting event at Tuck Park around Earth Day 2018. Tree Planting Event at Sherwood Forest Park in 2017. Much of the produce that you see at your local grocery store travels a long way. 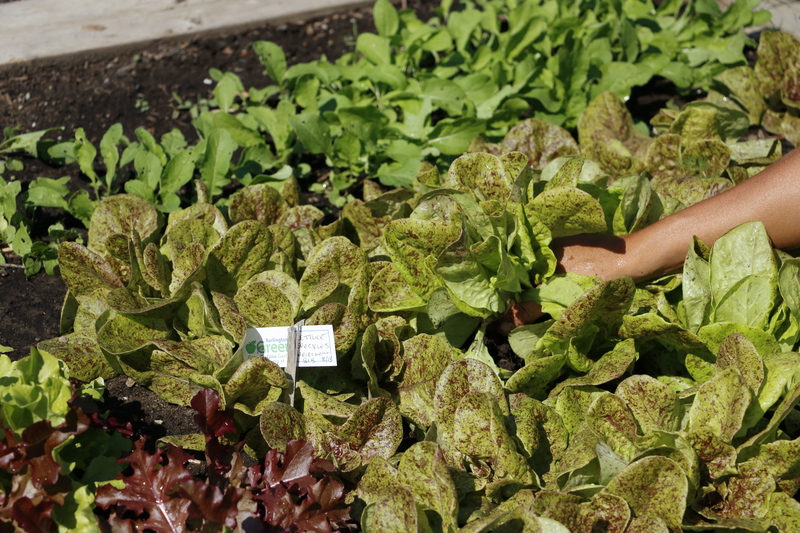 Growing your own food gives you the chance to harvest fresh food right from your own backyard. This lets you pick your produce at its peak freshness and because it doesn’t have to be shipped anywhere, you’ll reduce the large amount of greenhouse gases generated through transportation. No land to grow your own fruit and vegetables? Not enough sun? 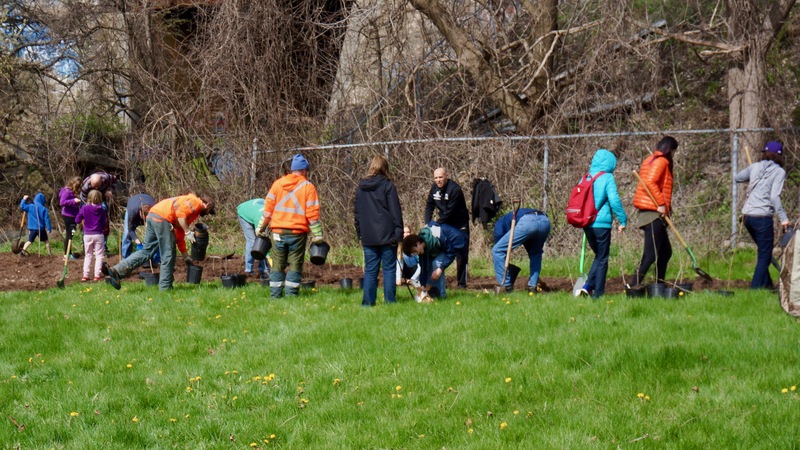 Sign up for one of the city’s 168 community garden plots. Plots are in high demand so they are available on a lottery basis. For more information, visit burlington.ca/communitygardens. One of the plots at Central Park Community Garden is dedicated to growing fresh food for local food banks. To volunteer to help weed and harvest the Grow to Give Garden plot, please contact BurlingtonGreen. Bring a refillable water bottle wherever you go. We are very fortunate to live in a part of the world where we can turn on the tap and get fresh, clean, safe water. In 2010, the City of Burlington restricted the sale of bottled water from many of our city facilities and upgraded, retrofitted or installed new water refilling stations. There are also many locations throughout the city where you can refill your reusable water bottle for free. 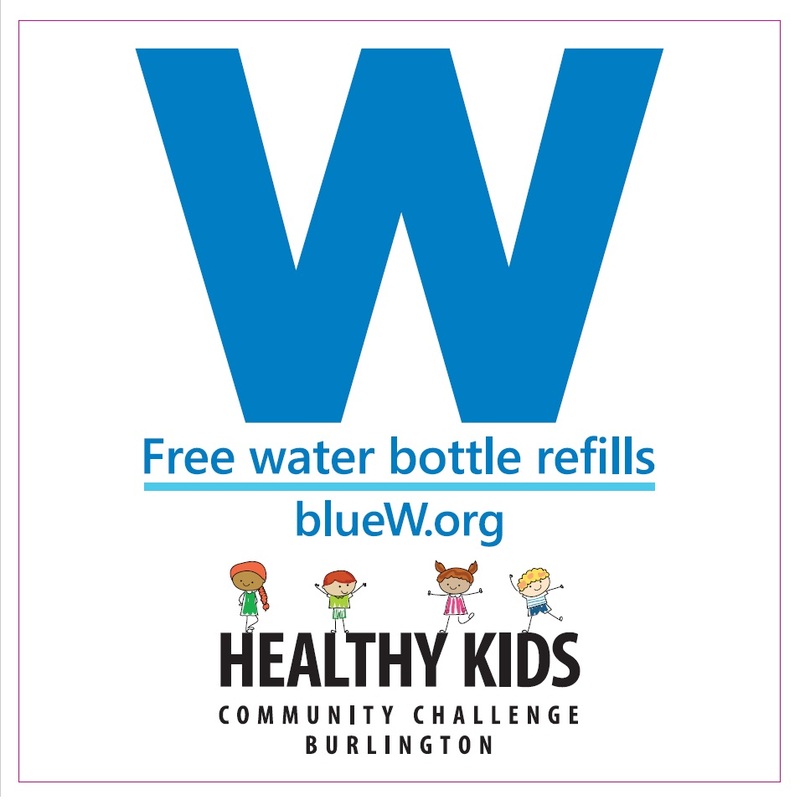 Look for the Blue W decal on participating shop and restaurant windows or search online at www.bluew.org. Participate in World Wildlife Fund’s National Sweater Day on Feb. 1. You’ve got a sweater, right? Go put it on! Since 2010, over one million Canadians have participated in National Sweater Day to promote the importance of saving energy in a fun way. So on Feb. 1, turn down your heat and put on a sweater. Schools and corporations are encouraged to participate. How will you reduce your impact on our planet this year? Tell us using #TakeActionBurlington or #LiveGreenBurl. Remember, we can all do our part to reduce our impact on the environment. Take Action Burlington! Collectively, we can make a difference.